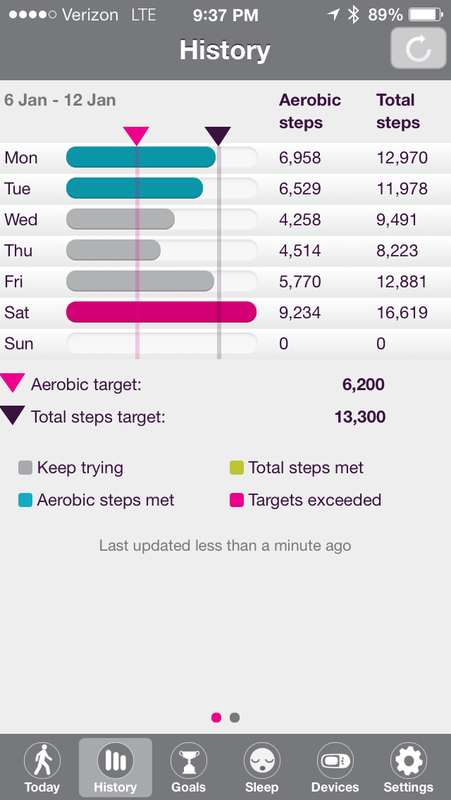 Over the past few months, I've had a chance to test and use a number of the newer wearable activity trackers (also known as fitness trackers or wearable activity monitors) like the Polar Loop and the Bowflex Boost. In this review, I'll write about my experience using the Fitbug Orb. 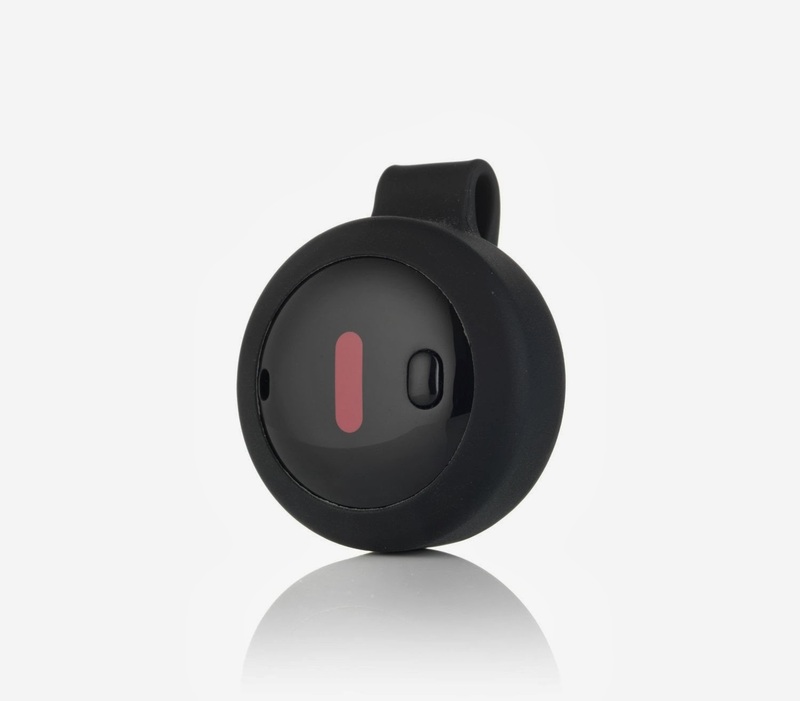 The Fitbug Orb is a round activity tracker that is priced at $49.95 and it can be worn on a wrist strap, on a belt clip, or on a magnetic clip. It comes in pink, black, or white and has a single button along with a single LED light that glows different colors. I've been using the Fitbug Orb for several weeks, wearing it every day at work, when I exercise, and when I sleep. The black elastomer band holding the Orb around my wrist was comfortable during the day and while sleeping. Overall, the plastic device is light, but it is thick. It's much thicker than the Misfit Shine (which is made of aluminum). 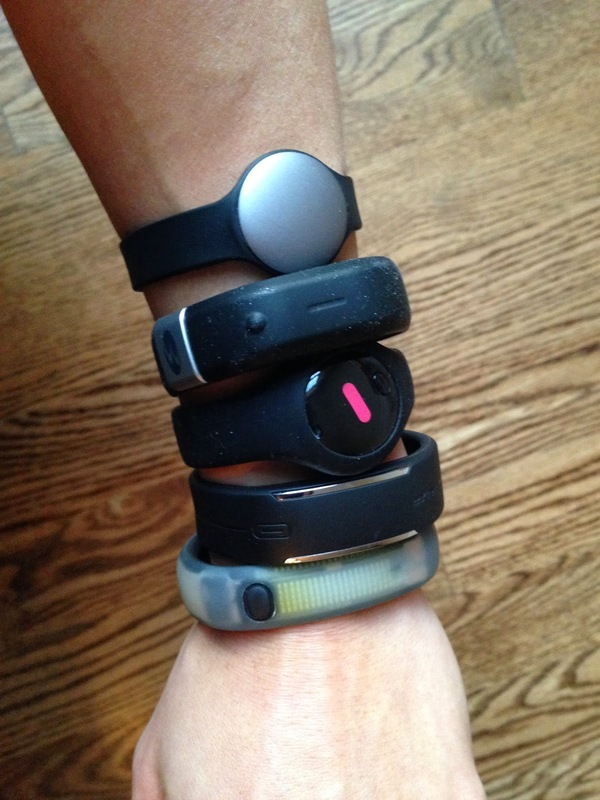 The wristband buckle (on the underside of your wrist) has a low profile so it did not disrupt my typing (compared to the Nike+ FuelBand which is much thicker and fairly rigid on the underside, so you'll feel it when you're typing). Since there is no metal touching my skin, you won't develop a nickel allergy rash (due to contact dermatitis). 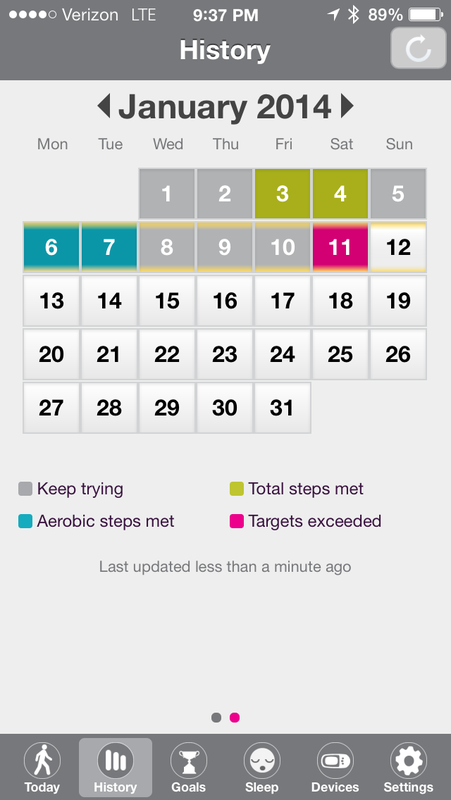 Some Fitbit Force users have reported such a rash recently. Unlike some of the other wrist-worn activity trackers, the Orb does not display time directly on the device (neither do the Fitbit Flex, Jawbone Up, Bowflex Boost, etc.). Wrist-worn trackers that display time include examples like the Fitbit Force, Nike+ FuelBand, Misfit Shine, and Polar Loop. The Orb is a nice option for people looking for a lower-priced wearable activity tracker that you can wear on your wrist, belt, underclothes, etc. Many activity trackers (like the Fitbit Flex, Nike+ FuelBand, Jawbone UP, or Polar Loop) are designed to be worn exclusively on your wrist. That may work for people who don't mind having something on the wrist all the time, but for others who want that flexibility to wear the tracker on different parts of the body, devices like the Fitbug Orb may be an attractive option. Since the Orb is not waterproof for swimming, it's also not waterproof to handle your washing machine. So, if you accidentally throw your clothes in the wash with your Orb clipped to your waist or pocket, your Orb may come out non-functional. 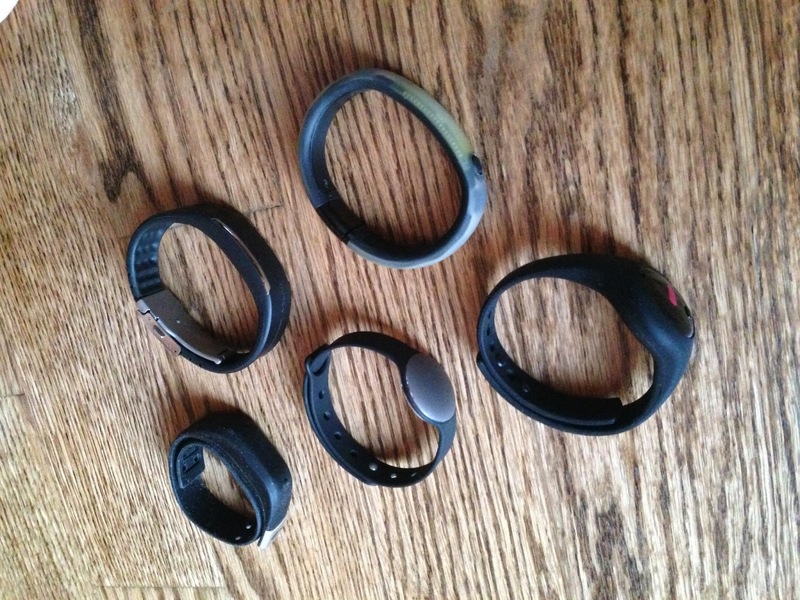 This is another reason why I advocate for wrist-worn activity trackers. There is less likelihood that your device will end up in the washing machine if it's always around your wrist. The Orb is similar to the Misfit Shine because it's round, can be worn on the wrist vs. a belt or clothing clip, uses a coin battery that lasts several months (no recharging every few days), syncs using Bluetooth LE with iOS or Android mobile devices (that support Bluetooth LE), monitors sleep, and gives you the option to wireless sync automatically vs. manually (so that you can control the battery usage to some extent). The Orb is different from the Shine because it's made of plastic, is thicker, will also sync with a PC or Mac (if you get the Bluetooth dongle connector), is not waterproof for swimming, has a physical button and a single LED (vs. the Shine which uses 12 small LEDs lined up in a ring pattern), and is less than 1/2 the price of the Shine. The Shine is crafted of aluminum and is elegantly designed more like a piece of jewelry. The Orb also has an interesting function that allows you to continuously monitor your steps in real-time, almost like a stride/cadence monitor that's usually worn on a running shoe. You enter this "Stream" mode by pressing the button down twice and the green LED will blink every 5 seconds indicating that the Orb has entered "Stream" mode. How is this useful? Well, if you're a runner, you can enter this mode and then when you're running on a treadmill, you can look at your smartphone and track your running cadence. The Orb can serve as a cadence sensor. The Orb also has the ability to wireless sync in the background automatically or you can choose to sync manually by pressing the button on the Orb. The option for manual sync allows you to improve battery life on your Orb and your smartphone. 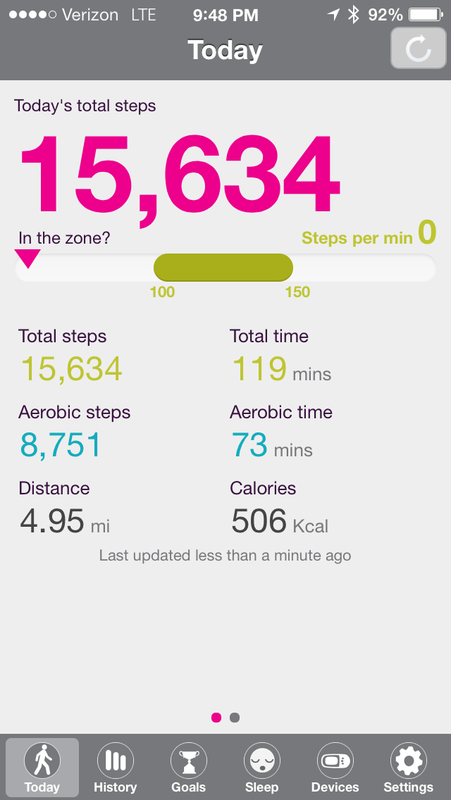 On the app, you can enter your stride length to get a more accurate count on your mileage. Most of the other fitness apps calculate mileage based on the total # of steps that you take and they do not factor your stride length into that calculation. To measure your sleep, wear the Orb on your wrist and press the button three times. The Orb will measure your movement at night and tell you how long and how well you slept. It will get out of sleep mode if you press and hold the button or if you take 50 steps. Wearables are becoming more popular than ever because people are becoming more conscientious about their fitness and their overall health. On top of that, we're seeing more and more people wearing some type of activity tracker on their wrist or clothes, so these gadgets are starting to drive a new trend in our society. You can "wear" the Orb using a few different clips and wristbands based on your personal preference. Relatively inexpensive at $49.95 (compared to most other activity trackers that are over $100). Wireless sync with mobile devices (that support Bluetooth LE) and also gives you the option to sync with PC/Mac through a Bluetooth LE USB dongle. Customizable options including: using the Orb like a cadence monitor while running (Stream mode), setting your stride length to get a more accurate mileage calculation, and selecting automatic sync from yes/no). Not waterproof for swimming (Currently, only a few wearables like the Misfit Shine and Polar Loop are waterproof for swimming). The Orb does not display time directly on the device. The app interface is a bit complex and currently lacks an online community of users where you can add friends, create groups, compete against other users, etc. (I suspect that this may get added in the future). Summary: The Fitbug Orb is an affordably-priced wearable activity tracker for cost-conscious shoppers who are looking for a versatile device that can be worn on the wrist, belt, or clipped to clothing.